Very nice indeed. I must find some antlers and give it a go. By all accounts venison is very nice Wal....happy hunting mate! I had a venison burger once, very nice but a bit deer. I tried horse once....but it gave me the trots! That's a beauty! 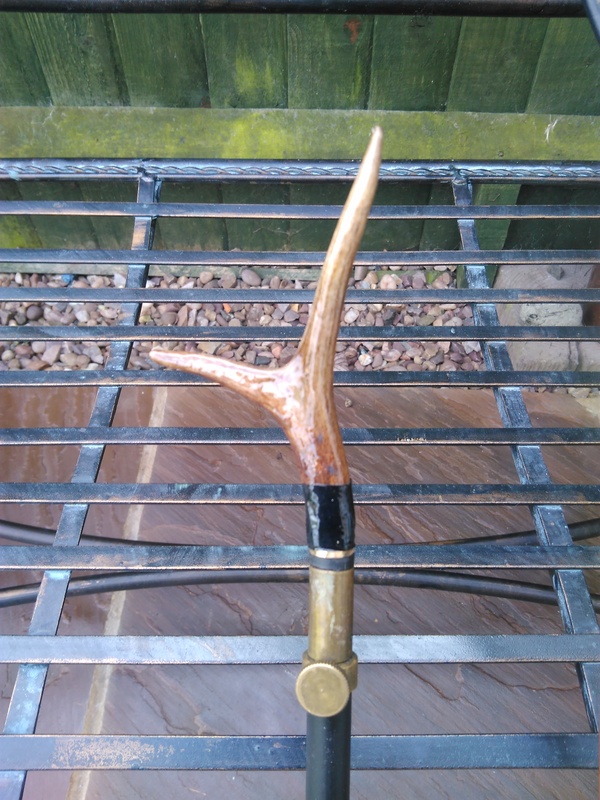 I made one myself with an antler top but found the problem was how to disguise the join where antler met shaft. I ended up just whipping over it with some rustic string. It was yours that inspired me to give it a try Scott. It took a while to find antlers with the right kind of shape, at a price I was willing to pay. I was going to ask where you got your antlers from? Hi Scott. I got my antlers from eBay. A cheaper option but I had to wait until I saw some which looked like they would produce nice rest shapes. Obviously with a natural material you have to go with the flow a bit, but patience will pay off.